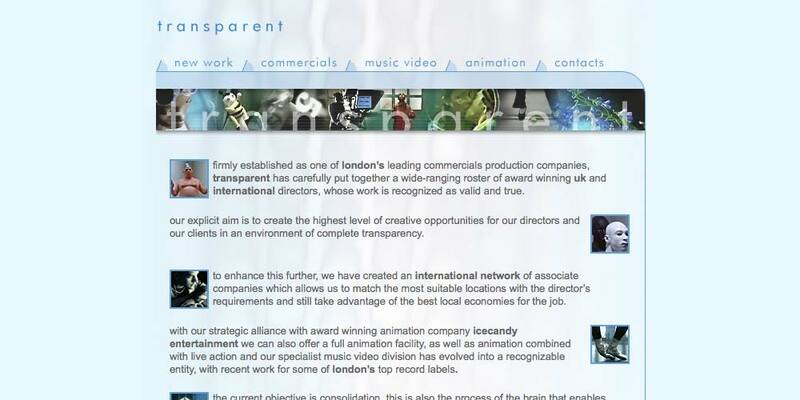 Transparent are a commercials production company based in central London. They represent a roster of eminent UK and international directors and are a multi-award winning company with triple gold Cannes Lion awards under their belt. Examples of clients include Coca Cola, KFC and Volkswagen. We had the job of creating a portfolio site to showcase their directors, with video clips of their work.